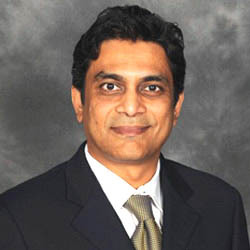 Dr. Muhammad Mohiuddin is a gastroenterologist in Orlando, Florida and is affiliated with multiple hospitals in the area, including Florida Hospital, Osceola Regional Medical Center, St Cloud Regional Medical Center and Orlando Health. Dr. Mohiuddin received his medical degree from Dow Medical College in Karachi, Pakistan in 1989. He completed a Residency in Internal Medicine at Atlantic City Medical Center in Atlantic City, N.J. Dr. Mohiuddin completed a Fellowship in Clinical Nutrition at Memorial Sloan-Kettering Cancer Center in New York City before completing a Fellowship in Gastroenterology at Louisiana State University Medical Center in New Orleans, LA. He is Board Certified and a member of the American College of Gastroenterology.